Mumbai Rains: Nearly 1,500 passengers who were stuck in two Mumbai-bound trains between Nallasopara and Vasai stations were rescued yesterday. In the early morning today, Downpour was witnessed, in Mumbai and it is seems like the financial capital, will be continue to receive heavy rainfall in the upcoming week. On Saturday, The Indian Meteorological Department (IMD) issued warning of “heavy to very heavy” rains for next three days. The IMD deputy director-general (western region), KS Hosalikar, said they are expecting wide-spread rains at the whole city Mumbai. With heavy rains lashing Mumbai, several areas already witnessed flooding especially Sion area. Residents of Sion complained that in spite this being an annual problem, the BMC did nothing in order to deal with the situation. monsoon remained vigorous over Vidarbha and along the West Coast , from the past 24 hours, and is likely to continue in the coming days. Nagpur recorded 282 mm, followed by Matheran at 194 mm, Mangalore 157 mm and Mahabaleshwar 151 mm of rains so far. On the Yesterday, adjoining areas like Thane and Navi Mumbai received powerful rains. Raigad, Ratnagiri and Sindhudurg are will be also going to receive heavy showers, with heavy rains can be witnessed in the secluded places. 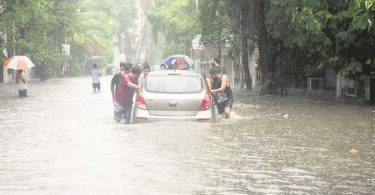 Far eastern suburbs received the heaviest rainfall, which affected the Mumbai’s local train services. Central Railway’s main and harbour line services are also get affected. 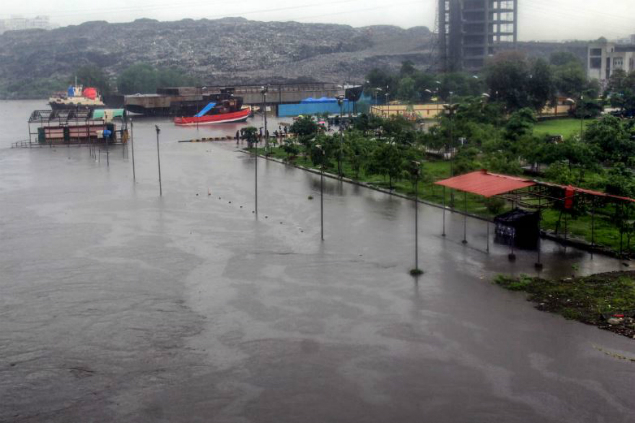 Several rivers in the region also begin overflowing, With heavy rains lashing the Mumbai suburbs and adjoining districts, a person also killed. Anyway, five picnickers went missing while another 30 were rescued from a Chinchoti Falls in Palghar district. The IMD has also forecast heavy to very heavy rains in Mumbai which affected some other places, like, Nagpur, Aurangabad, Nanded, Akola, Wardha, Chandrapure and the coastal Konkan. While temperatures have dropped because of the continuous rainfall, the onset of monsoon has disrupted routine life in the Maharashtra also.